NEW REDUCTION TO 995.000? FROM 1.200.000?!! 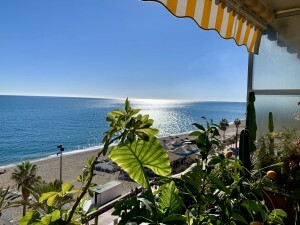 If you are looking for traditional elegance, look no further than this excellent villa, one of the original first line beach villas in the area. The neighbouring villa was the first built in this area of Estepona. 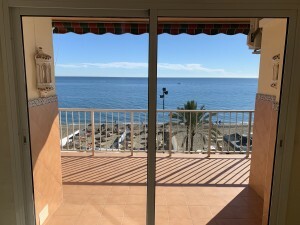 With direct access from the garden to the paseo and beach beyond in a very unspoilt area, also benefitting from a self-contained apartment in addition to the accommodation below with a private terrace. The villa is in a cul de sac, with no passing traffic, other than residential. All of the villas are privately owned with no holiday rentals or lettings. First floor: Entrance corridor to large living room with feature fireplace and direct access to the glazed terrace with panoramic sea views, steps to raised dedicated dining area and fully fitted and well-appointed kitchen. There is one en suite bedroom with sea views and terrace on this level.. Ground floor: Spacious independent accommodation provides a large living room, fitted, open plan kitchen with access to a generous covered terrace and lawned garden with further direct access to the beach and sea. There is an office space, two ensuite bedrooms and an additional family bathroom. 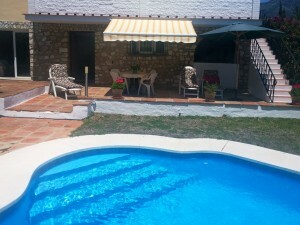 The property is surrounded by numerous terraces allowing a choice of sun or shade at any time of day. Independent apartment: Well proportioned accommodation provides a living room with fireplace, dining area with bar and American-style kitchen, four bedrooms and three bathrooms, two of which are ensuite. Exterior: There is a large, private front garden with direct, gated, access to the beach. 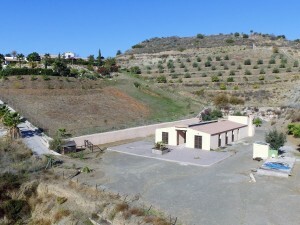 There are generous paved terraces to the sides and rear of the accommodation with a fenced pool area. There is a large elevated terrace with a dining area and small kitchen and a versatile room which could be an office or further accommodation and there is further storage and a workshop. Adjacent is a two car garage with up and over door. Property in excellent condition with 11 air conditioning / heating units, alarm, closed circuit TV, double glazed windows, solar panels, water softener. Plot: 646m2. Built size: 381m2 approximatelly. IBI: 830,76? per year. Rubbish: 160? per year.